Tasmania is a contradiction of nature. Beautiful, yet rugged; a land as untouched as it is unforgiving. With a trio of Lawrenny Estate products hitting our shop over the past few weeks we are concluding this shout out with a favourite. The 1818 Settlers Gin rounds out the Lawrenny trifecta with a distillery strength tribute to Tasmania’s early setters. The endurance and adversity those early settlers demonstrated has been replicated in this outstanding gin which is somehow both pure and unforgiving at the same time. This is a spirit that has a transparent and unapologetic appeal. Its robust botanicals are thrust to the forefront and are resonant of the incredible strength of character evident in early times and still resplendent in the natural ruggedness of Tasmania’s landscape today. The 1818 Settlers Gin holds nothing back and has been well and truly applauded for its solid claim on the Australian and International gin market. With accolades from both the Australian and American Distilled Spirits Awards, this is an obviously premium gin that has to be tasted to be truly understood. 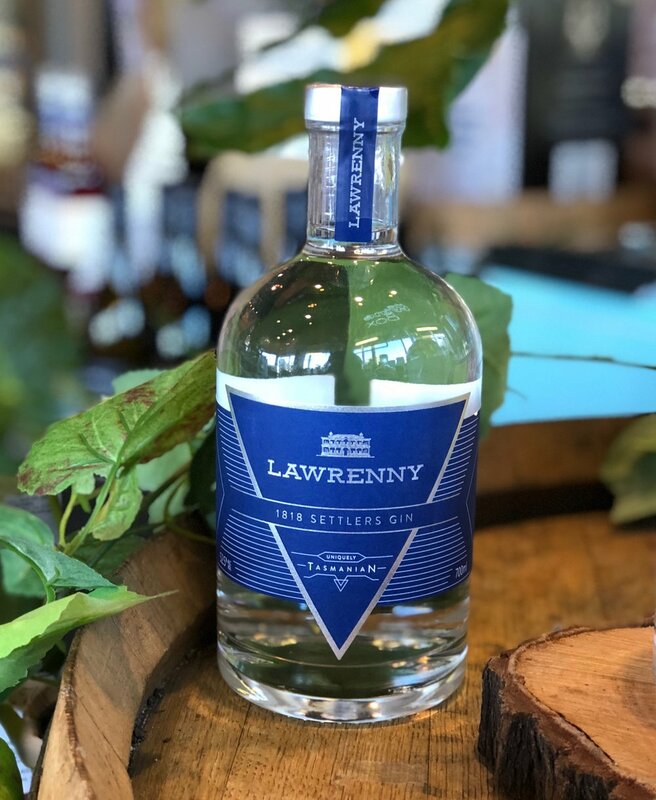 In producing their 1818 Settlers Gin, Lawrenny Estate’s talented team put flavour above all else. With cardamom and dried fruits dominating, this gin also has a smokiness not usually associated with others of its kind. This lifts it, sets it apart and allows for an intriguing mouthfeel to develop and softly linger. Bolstered by the warming spice of pimento berry and cassia bark, the nostalgic Australian notes are incredibly refined and the overall taste incredibly finessed. Thanks to its strength of character and beautifully considered and curated composition, this is a well balanced spirit. Heralded by cocktail connoisseurs who applaud its ability to maintain its status in complex cocktails, the 1818 Settlers Gin immensely elevates any drinking experience leaving lesser products in its wake.